« What, Exactly, is a Robust Public Process? Whereby the primary for the 5th Ward Council seat is a test of theory of governance. Anglin’s challenger, Neal Elyakin, has been said to have the support of Mayor John Hieftje. As reported in the Ann Arbor Observer of July 2011 (the Observer does not customarily put its stories online until the next printed issue comes out), “Hieftje is in many ways a crucial part of the election. He’s endorsed Rapundalo outright and come close with Ault and Elyakin. If all three win, the council’s balance of power will shift further towards the mayor.” And indeed, Elyakin’s positions appear to be the straight Council Party line. He has particularly endorsed development; from the July 13 League of Women Voters debate, “I know that we can keep that homey Ann Arbor attitude and still have the big-city infrastructure that attracts world-class opportunities”. He promises to be a champion for the Fuller Road Station (apparently dreams of trains), a major objective for the Mayor. Elyakin apparently feels things haven’t been going well in the development department. On his campaign website, he says, “My neighbors speak about city development, and raise concerns that the city must have a better decision making process regarding reasonable development”. But what does he mean by that? When has the city been “held hostage” by a few naysayers? I can think of a couple of examples of when the public became very vocal on a development issue. One example is the two PUD projects proposed for the Germantown neighborhood. The Heritage Row project (the Chronicle had a recent update) has had nearly a cat’s allowance of lifetimes but is currently in limbo. The Moravian, a hotly debated (citizens appearing on both sides of the issue) PUD for nearby, was defeated April 5, 2010; the account by the Chronicle explains that though the project attracted 6 votes, it required 8 to pass (an aspect of special rules governing PUDs, or planned unit developments). In both cases, a majority of council members voted for projects but a minority was able to defeat them because of the city’s ordinances and regulations, which they followed. The “robust public process” that is now being called for emerged where there was a confluence of big public expenditure and development on the Library Lot Conference Center issue. In that case, a group of citizens kept a consistent watch on the fine points of the question, through RFP advisory committee meetings and as consultant’s reports and independent studies (carefully sliced and diced by the watchful citizens) surfaced. 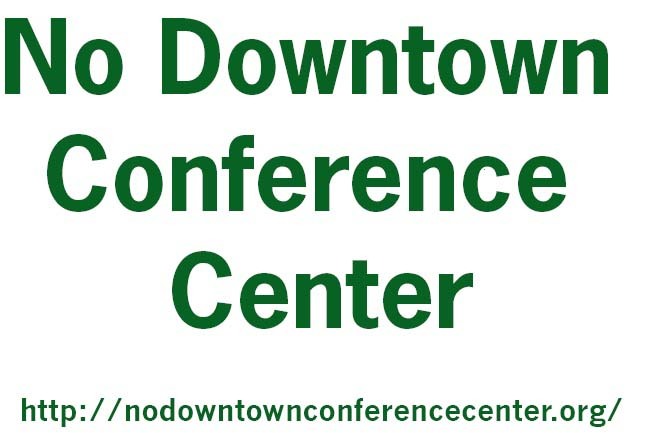 The group, Citizens Against the Conference Center, formed in the latter days when it appeared that Council was really going to pass the thing through (the scheduled date was April 19, 2011). In about three weeks, the group raised $3000, produced yard signs that were distributed all over Ann Arbor (a number were still undistributed when the issue closed down early), and rained a steady downpour of emails upon Council. On April 4, 2011, a resolution sponsored by several council members, including some who had supported the project, closed off the subject. Is this a model for how citizens should interface with their local government? Not really. It was a substitute for orderly discussion and public interaction with decision-makers throughout that long process. To their credit, council members tried to make it a better process at times, CM Sandi Smith introducing an RFP where it appeared the project was just going to be built through administrative fiat, CM Rapundalo making an effort to open up the RFP Advisory Committee process and promising a public hearing. I’ll always be grateful to Mayor Hieftje for seeing the writing on the wall (or the yard signs) and cutting the thing off cleanly. But was it a case of the city being held hostage by a small minority? Hardly. (For a couple of weeks after the decision, checks to pay for the campaign were still coming in and being returned; people were flocking to the campaign website and asking for signs. As much a mass movement as we’ve seen for a while.) Yet somewhat inadvertently, Elyakin’s campaign has seemed to indicate that he thinks that was an example of a process gone wrong (comment by Gustav Cappaert on the Chronicle: “Why does suggesting that someone build something where the library lot provoke so much ire?”). Much of what is at issue here boils down to this: What is our concept of governance? And what place does dissent hold? Governance is a tough issue. We now live in a state where a state official can dissolve a local government. We are seeing a total failure of governance in the US Congress. In many ways we are very fortunate because we have a council that does, on some level, care what its constituents say. But there has been a disturbing direction over the last few years of defining the ideal governance model in Ann Arbor as being…let’s all go along with the direction coming from the top. No dissent, please. As we reviewed in a post over a year ago, in general we are searching for a thing called “consensus”. But consensus does not mean that everyone agrees. It means that people in general will go along with a decision they dislike. If a decision makes a noticeable fraction of people really, really upset (as would have been the case in the Library Lot Conference Center), things fall apart. In the article linked to here, both city administrator Roger Fraser and then-CM Chris Easthope both cited the concept of “representative government”. According to them, this concept means that once you vote an official into office, you have to accept any decision he makes. Of course you can throw him out of office at the next election, but meanwhile he is free to make all decisions without any input from you. Well, that’s one concept of public process. But the “representative” is also supposed to listen to constituents and at least factor that into his thinking. Having been on that side of the desk, I know there are times that a representative has to make an unpopular decision and then risk the judgment of the voters. I don’t actually believe in government by referendum. We’d have never passed the Civil Rights Act if it had been presented for a public vote. But when the issue is not so morally weighted, we expect those we elect to listen to us. The current discussion about a “robust public process” is exploring what the appropriate, and useful, role of the public in making decisions should be. I’m encouraged by comments from the DDA’s meetings and council action that this is being considered seriously, and will be writing more about it later. But meanwhile, we are coming up to a point of the only public referendum that really counts, namely elections. Can Anglin have been said to “hold the city hostage”? Clearly not, since he didn’t prevail in those cases. Now, he has been a member of that council minority who have denied the CP a supermajority (8 votes) for certain projects. Perhaps that is what Elyakin is getting at – that he wants to eliminate those minority votes and thus promote what he terms “reasonable development”. His endorsement by one of the most pro-development members on Council, Sandi Smith, would seem to support that. It should be emphasized that Anglin’s votes have been (WAG) 95% with the rest of council— and with the Mayor. Some of his votes (both for and against) have been in a direction I didn’t like personally. But I think Elyakin’s criticism of him as a “naysayer” indicates a greater divide – the question of whether dissent and discussion have a place in governance in Ann Arbor. I think they do. UPDATE: Anglin won and so did Kunselman, both by about 2-1 margins. 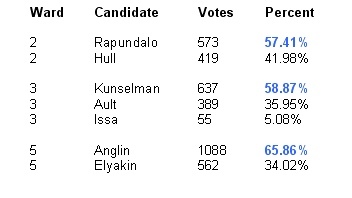 (Kunselman’s numbers were slightly confused by a third candidate in the race.) The third incumbent in the race, Stephen Rapundalo (a founding member of the Council Party), suffered some incursions by a novice politician with little funding, Tim Hull. Here are news accounts, from the Ann Arbor Chronicle and AnnArbor.com. The August Democratic primary election has become, like it or not, the only referendum on our local government that we have. This was a clear result of Council Party 1: Dissidents 2. It is notable that the Fuller Road Station became one of the main subjects discussed during the campaign. I would claim that this result shows a lack of enthusiasm for that project. This entry was posted on July 23, 2011 at 8:27 pm and is filed under Basis, Neighborhoods, politics. You can subscribe via RSS 2.0 feed to this post's comments. You can comment below, or link to this permanent URL from your own site. Vivienne, I recall that the phrase used by Fraser and Councilman Derezinski was that “We have a republic form of government, not a direct democracy (don’t recall what Easthope said)”. The underlying claim was that we elect RULERS, not REPRESENTATIVES. Rulers do what they like; representatives – well, represent, which means to mirror (or represent) the wishes of constituents. It strikes me that the theme of Mr. Elyakin’s campaign is that people who disagree with him and with the mayor should not have a place at the table – they can scream all the want, have all the free expression they please, but they may not have a place at the table. I have a passing acquaintance with Mr. Elyakin, and wonder if he has truly thought through the implications of his position. 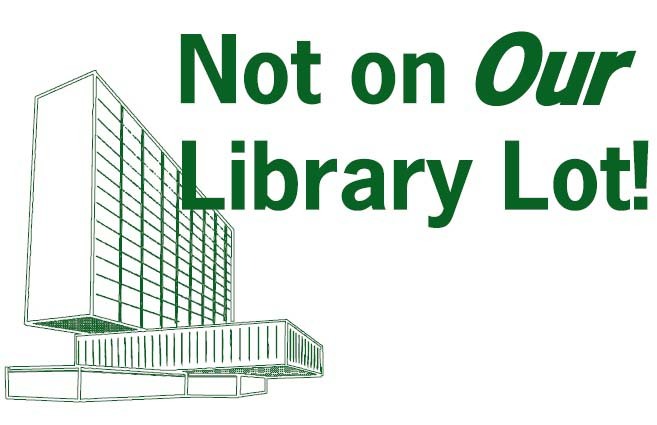 There has been some public discussion that you felt that Neal Elyakin had engaged in questionable e-mailing conduct during the AADL election in which both challengers (yourself included) had lost. Could you clarify what Mr. Elyakin did and why you object to such conduct. Mr. Elyakin sent out an email endorsing candidates for every office in the 2010 campaign to (apparently) a wide list of friends and associates. He endorsed Nancy and me. Then he was apparently told by, as he said, “someone he trusted” that Nancy and I would be “disruptive”. So he sent out a second email to the same list telling people NOT to vote for us, solely on the word of this person. That email was forwarded to me by a friend. However, even if he had left the endorsement as he originally stated it (and I probably never would have known about it), I would still have been affronted by his comments typifying Mike as a “naysayer”. It is clear that his council campaign is of a piece with his withdrawal of his endorsement of me by direction of another person. He is following the effort of the Council Party to keep out people who may have independent views. In conclusion, while his gracelessness certainly didn’t give me any reason to like him, my position about his campaign against dissent and my support for Mike Anglin on council were not influenced by that incident.